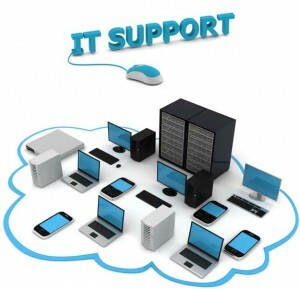 We provide support for homes and business.No issue is too small to resolve.We specialize in computer repair, hardware repair, networking, security and software support with the track record to prove it! We can fix everything from desktop hardware issues to desktop software issues. We’re confident that we’ll fix your desktop computer right the first time and we’re ready to prove it! Bring your computer to our company for repair diagnosis. We’ll tell you what we believe to be the problem and how we’ll fix your desktop computer. Then, once you’re ready to proceed with the repair process, we’ll preform a complete diagnostic of your desktop computer and check all the hardware components. We offer discounted hardware and software for all desktop repairs. We offers a comprehensive set of security options designed to meet the needs of a wide array of clients, ranging from Individuals to Businesses. We Deal In CCTV Camera Security Systems and Alarm Systems for Bungalow, Home, Offices, and other Commercial Establishments; We also install Bio-metric Digital Door Locks, Home Security solutions like Video Door Phones, Access Control Solutions for big Commercial Establishments, IT parks, Colleges, Schools, Malls etc. See what is going on in you home or offices when you are away. Through Our CCTV systems you will be able to view your Home Or Office in a computer or even a cell phone. We have great Deals on CCTV Camera Security Systems. We serve both Homes and Businesses. We are dedicated experienced people in the CCTV security arena; so we know what we doing. After all you will be happy you got the service from us. We install alarm systems for your Homes and Businesses at very affordable cost. All our systems are free of monthly monitoring fee. We have alarm experts to discuss and meet your needs.Alarm System acts as your virtual security guard throughout the year keeping your worries at bay whether you are at home or away. It is manned by well trained operators to remotely monitor all alarms and take appropriate action in case of emergency situations.